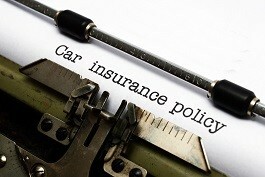 Reduce both driving record points and insurance premiums! How? 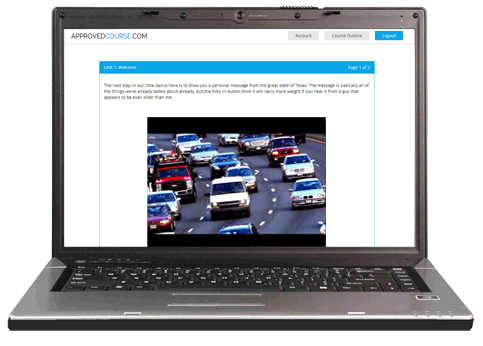 Just by taking this easy-to-complete online defensive driving Missouri course. Get your certificate to the court quickly! Missouri defensive driving the easy way! So you were rushing a bit, just trying to make up a couple of minutes because you were running late for work. Then, those pretty flashing lights came on behind you. Now those two minutes you were hoping to save are going to cost you 8 hours. Now you need to keep that ticket you got after your conversation with that nice officer off of your record. Of course. you could choose to spend those 8 mind-numbing hours sitting in a Missouri defensive driving classroom, but why would you? Our defensive driving Missouri online course allows you to keep those points off your record from the comfort of your own home on any internet enabled device you choose. This Missouri driver improvement course is 100% online allowing you to work on it anywhere, anytime. Don’t rearrange your whole life just to clear up your driving record. With 24/7 access, you can fulfill the requirements of the court without ever entering the inside of a classroom. Log out from one computer and log in to another - Don’t worry, we’ll save your place from desktop to laptop to tablet. Pick your course pace - Break it into pieces or bull through it all at once. After each chapter, you’ll take an easy, 10-question multiple-choice quiz, designed to prep you for the final exam. At the end of the course, you’ll take a 50-question final exam. It’s multiple-choice, too, and you do have to score 80% or better to pass, and don’t worry about not passing the first time. You’ll be given unlimited retakes until you do! Please note that online courses are not accepted by all Missouri courts, so make sure to obtain permission from your court before enrolling. While the scope of the course is broad, we don't think you’ll ever be bored. A team of driver education professionals and learning theory experts worked to craft a course that’s as fun as it is educational. No more studying hard-to-read driver manuals and too-thick textbooks. Through generous use of entertaining videos and engaging animations, you’ll stay engaged so that you can learn the information fast and retain it longer. We also offer an audio version if listening along better fits your learning style. With a defensive driving course, not only will your insurance rates stay low, they could even go lower! Most insurance companies offer “safe driver” discounts and one of the ways you can achieve safe driver status is to take a defensive driving course. The cash you keep from your discounted rates will pay for the course many times over. Call your insurance agent today to see how much you could be saving. We understand that the point of you taking this course is to get a certificate of course completion and you probably need it ASAP. We are not about to keep you waiting! The moment you complete your final exam, we’ll get to work processing your certificate. We’ll even get it into the mail the same day if you finish before 3 PM CST. This service is free if you choose to use the US Postal Service but, if free isn’t fast enough, you may want to choose one of our expedited delivery options that can get your paperwork to you as early as 10:30 AM weekdays. We’ve worked to make the course user-friendly, but we understand that taking a defensive driving course is not something you do every day. If you run into a question at any time, answers are just a phone call or e-mail away. No matter the time, there is someone there waiting to get you back on your way. Step One - Contact your insurance agency to see if taking a driver improvement course would qualify you for an insurance discount. If it would, make sure to ask about the amount of savings and how long those savings last. Step Two - Register for and complete your Missouri driver improvement course. Step Three - Submit your certificate of completion to your insurance company. Make sure to ask when your savings will begin. Step Four - Use those savings to buy yourself something you want to have and not just something you have to have! There really isn't an easier way!